He’s one cool Dude in his own warm say, and the only thing more pleasing than his ultra- reliable housetraining is his sunny, supportive 24/7 smile. 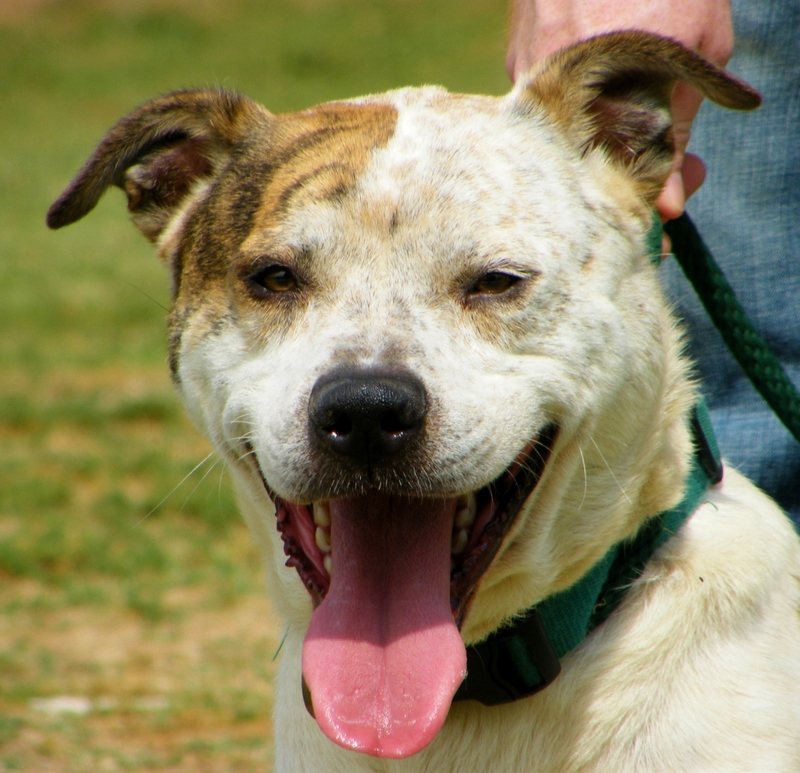 His owner had to move and regretfully gave us his beautifully schooled prize; The Dude’s an intelligent 3-year-young Red Heeler/American Staffordshire mix gentleman whose manners are immaculate; he’s a shelter office dog for now and a more civilized housemate you won’t find. The Dude’s as refined as you can be and still have fun — he doesn’t chew, won’t jump on you, and the only thing he’ll knock over is your heart; he’s patient with cats, great with kids, and he never meets a stranger; please test him with your current dog. The Dude’s highly food motivated, cooperative and responsive, teaching him new tricks would be fun; or just let him show your family how a courtly inside/outside guy behaves. If you’re ready to give your heart away to a handsome young sidekick who’ll shadow you happily, or simply need a friendly etiquette lesson, come and see The Dude. Her owner moved and left her with us, but our gracious, affection-filled Little Debbie doesn’t belong here any more than a man in the moon — a full moon that is. At 8 years and 19 mostly soft-gray lbs., she’s just as large and lovely, and she’s replete with luminous personhood, too. Hold her and you’ll know you’re with a solid friend, the soft-voiced but chatty kind, who purrs a deep throaty purr, kneads your knees while she listens to your triumphs and tragedies, and eclipses the problems of the day with her very presence. 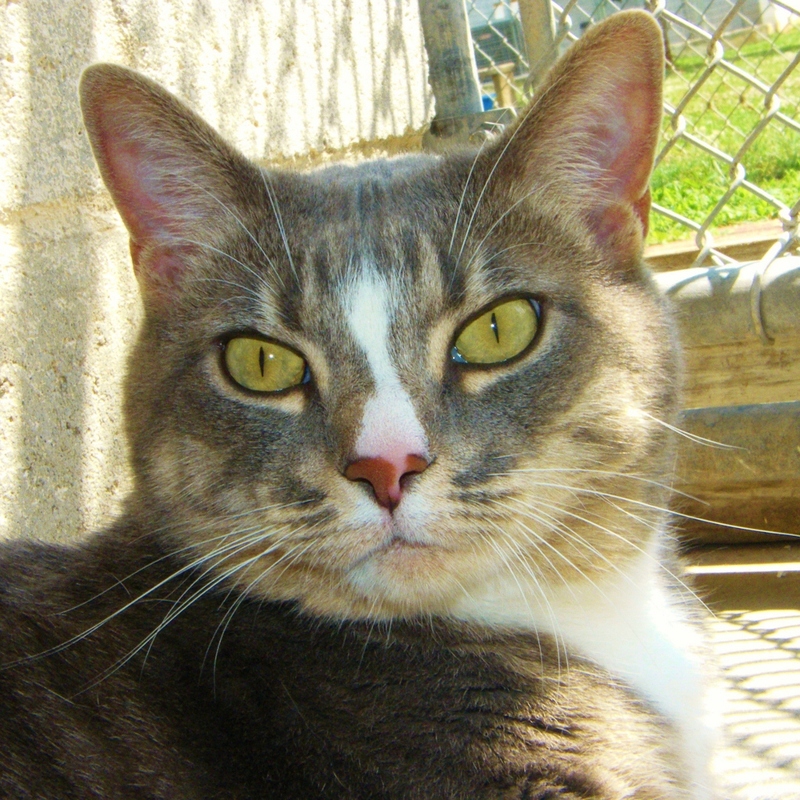 Little Debbie’s an appreciative girl too — she gets along fine with other cats, keeps her white paws fastidiously clean, and would make a wise and gentle inside/outside pet for children. Her health is splendid and she’s already spayed; Little Debbie’s all set to light up your days, and your nights too, with her ample, love-beaming ways. Come see how much fun it is to be moonstruck, and how much more there is to love with our ever-so-deserving Little Debbie.